Delete the Nordschleife time, it is the Nordschleife BTG time, the 1.5km shorter part of a track. Evolution IX is not faster than a Ferrari Enzo on a Nordschleife, for God sake. Couldnt have said it better fastestlaps. I owe nothing to anyone. If I cant save my money and buy something out right then I dont want it. I've never taken out a loan on a car or anything else. Here in the U.S you can save a huge amount of money by paying up front for your car. That way you are not required to get expensive full coverage insurance! :D It is unbelievable what spammers are doing now. Advertising online "meds" stores or "cheap insurance" sites - at least that I can understand from a spammers standpoint. But a PR campaign intended to spam Google search results with positive comments about taking loans and mortages - that is something new. Unbelievable! Loans will ruin your life. Loans = misery. Loans = poverty, loans = lifelong physical and mental suffering. Don't anyone dare even think about ever getting a mortgage or loan of any kind because that will destroy you and your family!!! People deserve good life and mortgage loans or bank loan would make it better. Just because people's freedom depends on money. Why is it that 1/4 mile times / MPH are accepted as legit but not 0-60mph times? For the power to weight ratio you use [quote]bhp / tonne\" but for weight distribution you use standard weight in as it is in the U.S.
Why not use both 0-60mph and 0-100kph? Why the double standard? Naoki Hattori hit a 12.6 stock in this car. Its on youtube. It was tested by a German magazine. torque is 289lb ft. thought ide let ya no. does anybody know the Coefficent Drag of this??? The 0-60mph is 4.9, so why would 62mph or 100kmh be .9 seconds faster?? This car with six-speed manual gearbox is called EVO IX MR in US. This EVO IX MR (US spec) propelled by the same 286-horsepower engine as the IX GSR but with a six-speed manual and a Bilstein suspension. And on Reno-Fernley Raceway, it is 2:34.363. The 5th paragraph, EVO IX MR get 2:34.363. I know it's not official times it's just to show that your numbers looks okay. 1'49"02 (not 1'49"20) in Oschersleben. 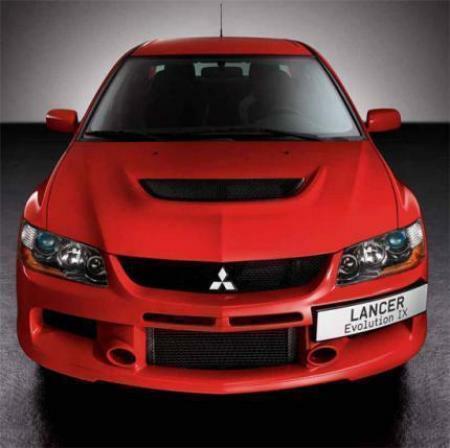 I delet the Rockingham laptime which was driven by a Mitsubishi Evo IX MR FQ 320 not a standart Evo IX.. 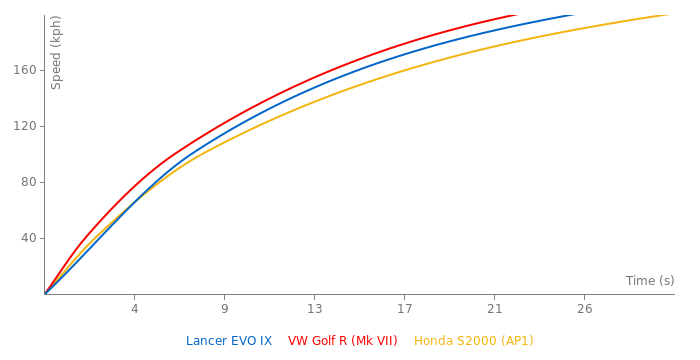 The 1:17.6min laptime is the time for the standart Evo IX.